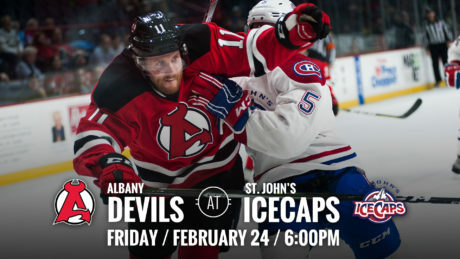 The Devils travel to face off against the IceCaps for back to back games this weekend starting Friday. 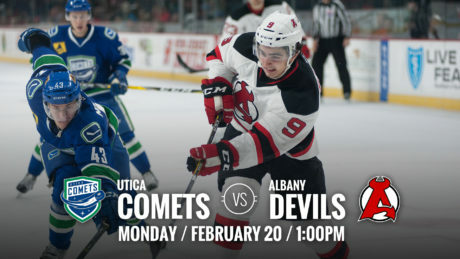 The Devils host the Comets Monday for a 1 pm puck drop at Times Union Center. 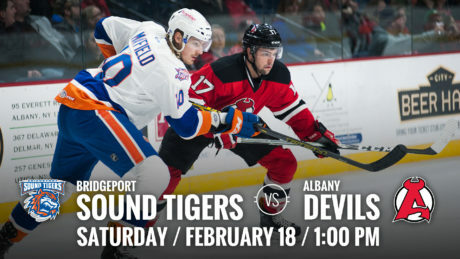 The Devils host the Tigers Saturday at Times Union Center for a 1 pm matinee puck drop. 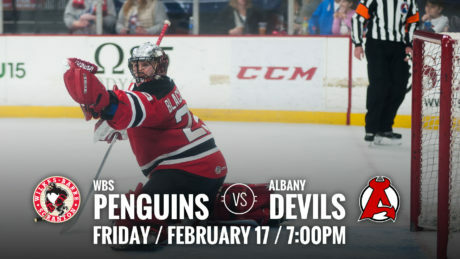 The Devils face off against the Atlantic Division’s top team, the Penguins, Friday at Times Union Center for a 7 pm puck drop. 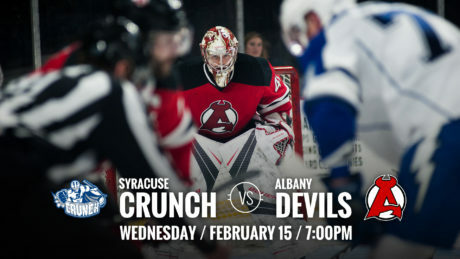 The top two teams in the North Division face off Wednesday as the Devils host the Crunch for a 7 pm puck drop. 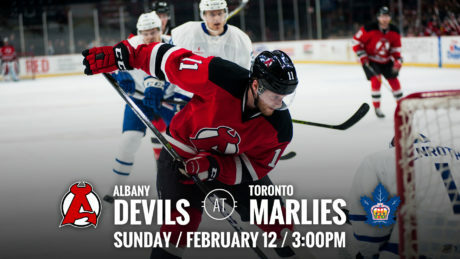 The Devils face off against the Marlies Sunday at 3 pm at Ricoh Coliseum to close out their 3-in-3 weekend. 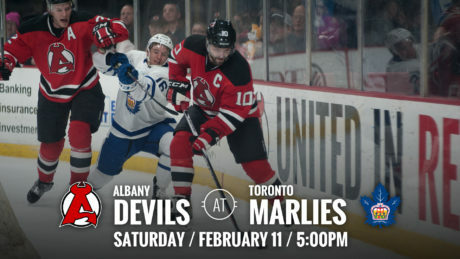 The Devils travel to Toronto to take on the Marlies for back to back games starting Saturday at 5 pm. 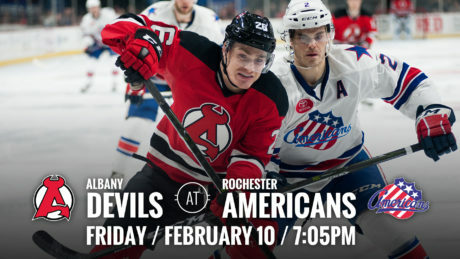 The Devils hit the road for a 3-in-3 weekend starting Friday for a 7:05 pm puck drop against the Rochester Americans. 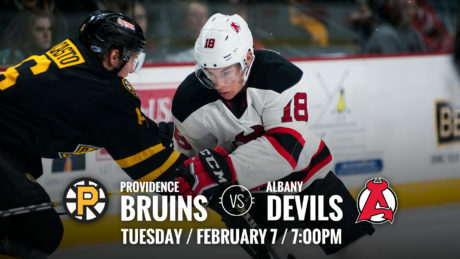 The Devils will take on the Bruins Tuesday for a 7 pm puck drop at Times Union Center. 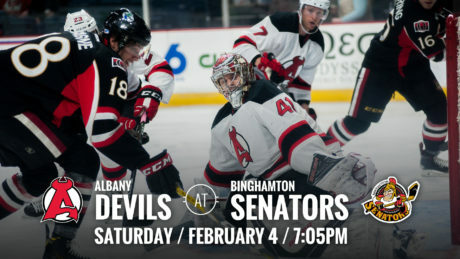 The Devils travel to take on the Senators Saturday for a 7:05 pm puck drop at Floyd L. Maines Veterans Memorial Arena. 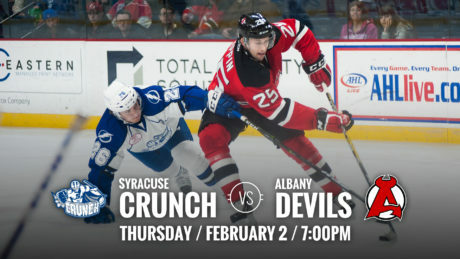 The top two teams in the North Division face off Thursday as the Devils host the Crunch for a 7 pm puck drop.